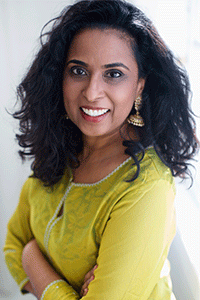 Sayantani DasGupta trained in pediatric medicine and now teaches undergraduate and graduate courses at Columbia University. 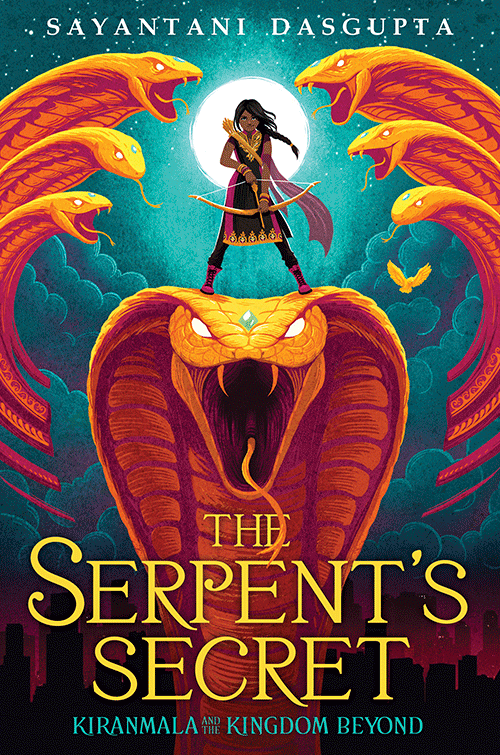 The Serpent’s Secret is her debut, middle-grade novel. When she’s not writing or reading, Sayantani spends time watching cooking shows with her trilingual children and her black Labrador retriever, Khushi. On the morning of her 12th birthday, Kiranmala is just a regular sixth grader living in Parsippany, New Jersey . . . until her parents mysteriously vanish and a drooling Rakkhosh demon slams through her kitchen, determined to eat her alive. Turns out there might be some truth to her parents’ fantastical stories—like how Kiranmala is a real Indian princess and how she comes from a secret place not of this world. To complicate matters, two crush-worthy princes ring her doorbell, insisting they’ve come to rescue her. Suddenly, Kiran is swept into another dimension full of magic, winged horses, moving maps, and annoying, talking birds. There she must solve riddles and battle demons all while avoiding the Serpent King of the underworld and the Rakkhoshi Queen in order to find her parents and basically save New Jersey, her entire world, and everything beyond it.